During my recent visit to Nepal, I was invited by Hyatt Regency – Kathmandu to try out few of their speciality dishes. I have always been intrigued by this cuisine. The simplicity of cooking techniques, few ingredients to work with, unique and intense flavours always made me curious to explore this cuisine. I met Suman Shrestha and Mohini Shrestha at the hotel and spoke about the beautiful property, decor, and landscaping of the hotel. Then met Chef Santosh Koradi – Executive Chef, Hyatt Regency – Kathmandu who guided me through my food adventure. I was served a thali, fit enough to serve to the queen. I got to know that Nepali food primarily is of two types: Newari and Thakali. Although I was served with Thakali Thali in which few dishes were of Newari origin. I started with Mixed Greens (Shak) that was extremely flavourful lightly sorted with Panchphoran. Next in line was Newari style Chicken – Nepali cuisine does not have any garam masala as such so the chicken curry was very simple but the freshness of each ingredient shines through. Kalo Daal (Kali Daal) was a revelation as we Indian are used to have the Kali daal North Indian style with lots of cream, tomatoes, spices to give that rich typical Kali daal taste. This Kali Daal or Kalo Daal as the Nepali’s call it was a very simple affair. The pressure cooked daal gets the tadka or tempering of Zimbhu (Nepali herb) or chopped Garlic & Chillies. The most interesting dish served was Aaloo ka Achar. When you think of achar you think it is preserved for many months but this achar was very different. This is more like an instant achar which Nepalis have with their everyday meal. It seemed more like Aaloo Bharta or Choukha served in the rest of the country. Also in the thali, I had Salad and Gulab Jamun. The prime attraction was Himalayan Mountain Trout. You don’t get trouts easily in India and this variety as I was told were farmed in the Himalayan region. The trout which was served was a simple pan fry. The freshness of the dish still lingers on. Later in the day, I was served two kinds of cheese with coffee. The Himalayan Cheese and the Yak Cheese. The Himalayan cheese tasted more like a strong Swiss cheese but I was blown away by the taste of the Yak cheese, subtle in flavour tasted like a combination of Emmenthal and Pecorino cheese. After this scrumptious meal, I was lucky enough to get a demo of four recipes by the hotel chefs – Gundruk ko Achar (Mustard leaves pickle), Pork Ledo Bedo, Khasi ko Masu (Mutton Jhol) and Buckwheat Porridge (Dhindo). Then they took me to Vada station where I was served Vada and Chathamari with different jhols (a watery gravy) and relishes. In Nepali cuisines, spices are hardly used. Mainly, it is either steamed or roasted. They mostly use fermented and dried vegetables. A lot of sesame powder and sesame is also used in their food. The two main significant spices used are Timour (schezwan peppercorn) and Zinmbu (dried herb). My quest is to find out different cuisines on the basis of the spices, local ingredients, cooking techniques, culture and food stories. The day spent in Hyatt was fruitful, I came back enriched and satisfied. My endeavour to learn about different cuisines and culture was totally fulfilled I assimilated so much knowledge about this new but untapped cuisine of Nepal. 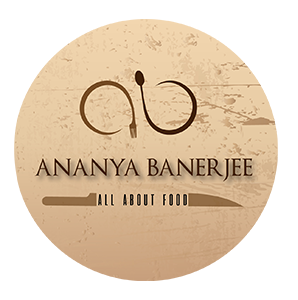 Next Post Nostalgia Reloaded – The outstanding Bengali food that​ will make you crave for more!